WHY IT RATES: The Canopy by Hilton Zagreb marks the brand's first hotel in continental Europe.—Mia Taylor, TravelPulse Senior Writer. Today, Canopy by Hilton, Hilton's lifestyle hotel brand, announces the official opening of its first hotel in continental Europe, Canopy by Hilton Zagreb. The hotel, which joins Canopy by Hilton Reykjavik in the brand's European portfolio, is situated in the heart of Croatia’s capital, near the city’s main rail station and the upcoming Branimir Centar shopping mall. Guests can grab a complimentary Canopy Bike and explore the many nearby attractions, where there are shops, restaurants, and nightlife in every direction. 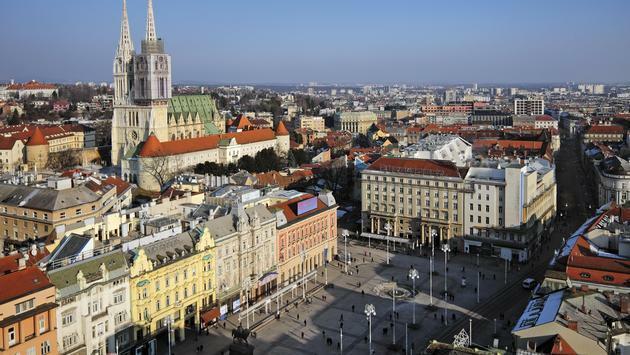 With more museums per capita than any city in the world, and with a vibrant art and theatre scene, Zagreb is a city of great culture with much to explore. Canopy by Hilton Zagreb is home to 151 Just-Right rooms, including eight spacious suites. The interiors of the rooms are inspired by the long industrial history of the local neighborhood, with local textiles and artwork featured throughout. This includes the brand's signature canopy bed frame, inspired by Croatia's national emblem and carpets inspired by traditional folk costumes. The hallways also highlight the neighborhoods’ rich history, lined with posters of the famous Croatian investor Nikola Tesla. For breakfast, guests can start their day with an inclusive artisanal breakfast in Canopy Central or opt for the “Break Fast” bag delivered to their door – ideal for guests on the go. Guests can savor authentic cuisine with fresh local ingredients at the ReUnion Restaurant, with menu highlights including traditional specialties such as Croatian chard pie, Croatian-style black cuttlefish risotto and a selection of local cheese and wines. Small nibbles, bites and local spirits, wines and craft beers are available at Canopy Central Café and Bar, with signature dishes including cocktails inspired by the famous Croatian inventors Nikola Tesla and Slavoljub Penkala. Each evening, the Canopy Central Bar hosts a complimentary evening tasting, showcasing local drinks and bites for hotel guests, such as Orahnjaca – a traditional walnut strudel and Samoborska greblica – a traditional pastry with fresh cottage cheese. Upon arrival, guests are also welcomed with the locally well-known traditional Bajadera chocolate. For meetings and events, Zagreb is an ideal choice as it is superbly connected by its recently expanded airport, located just 20km away from Canopy by Hilton Zagreb. The hotel has two meeting rooms, offering smaller meetings capabilities and a unique venue for social events such as cocktail receptions. The hotel also has a spacious 24-hour fitness center. 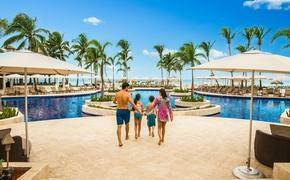 At Canopy by Hilton, every guest will experience an energetic, thoughtfully local stay. Canopy by Hilton Zagreb is located at Ul. Kneza Branimira 29, 10000, Zagreb, Croatia.